I must admit, if my 21 year old self had received $2M to play professional baseball, there might have been a chance that I’d make a few extravagant purchases: a Porsche perhaps, a fancy apartment, etc. But Daniel Norris might be a sign of a shifting perspective toward wealth in the Millennial mind. The 21 year-old left-handed pitcher was just recruited by the Toronto Blue Jays and given a $2M signing bonus. But Norris didn’t head for the nearest Bentley dealer or David Yurman to buy a diamond-encrusted catcher’s mitt. 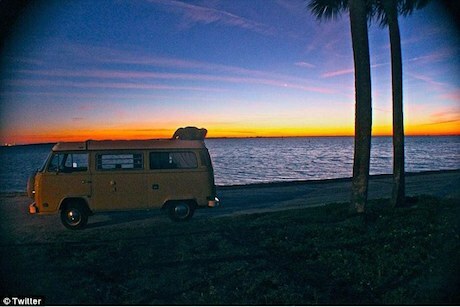 Norris went his father’s buddy to purchase his dream car and dream home: a 78′ VW Westfalia camper he calls Shaggy (it should be noted he did bling it out with some solar panels). The Tennessee native was brought up with a high reverence for nature and is an avid outdoor enthusiast–climbing, mountain biking, and surfing. The van serves as his adventure launchpad. While Norris might be an anomaly in what might otherwise still be a world dominated by the excesses available with extreme wealth, he might also be a sign of the times–with Millennials feeling increasingly weary of traditional notions of success, Norris might be the new, low-key celeb, someone who might have access to vast material resources, but feels compelled to not exploit them; someone for whom simplicity and moderation are ideals to strive for, not signs of failure. Yay Norris! Now there’s someone you want your kids to admire. In all seriousness, I’m impressed! What an inspiration! Great story. It’s not about the stuff but rather life and all its experiences. 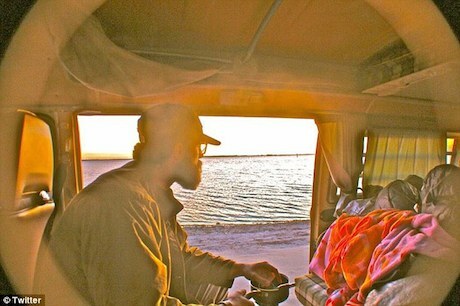 Daniel Norris not only made a great decision for his well-being and happiness, but just an overall smart decision. Injuries do happen and you never know if you’ll be signed for 2 million ever again. Yes. He is a role model for every one to understand and practice what gives real happiness. Also Wwwaste and extravagance shd be avoided at all costs, and the money thus saved help light millions of homes. Hey, that’s my dream! All thumbs up for this guy! So great to see! I think this is a lifestyle that is really starting to resonate with folks, especially after we were sold a bill of consumerist culture goods only to have the bottom totally fall out. Hooray for this guy for seeing that even a lucrative career in athletics isn’t forever, and he doesn’t need “stuff” to make him successful or happy.